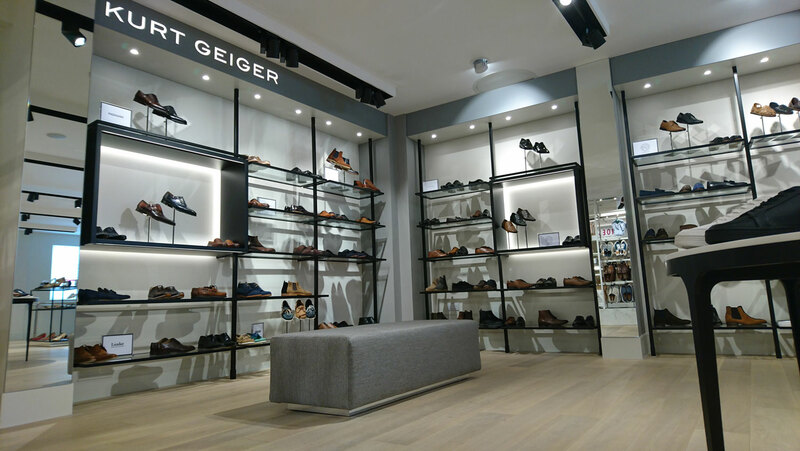 AM System were delighted to be awarded the contract for the new Kurt Geiger concession in the Channel Island’s premier department store. The ‘design led’ British footwear brand forms the main area of Voisin’s new Shoe World department. Manufactured at our factory in Hinckley and delivered to site in St Helier, Jersey. 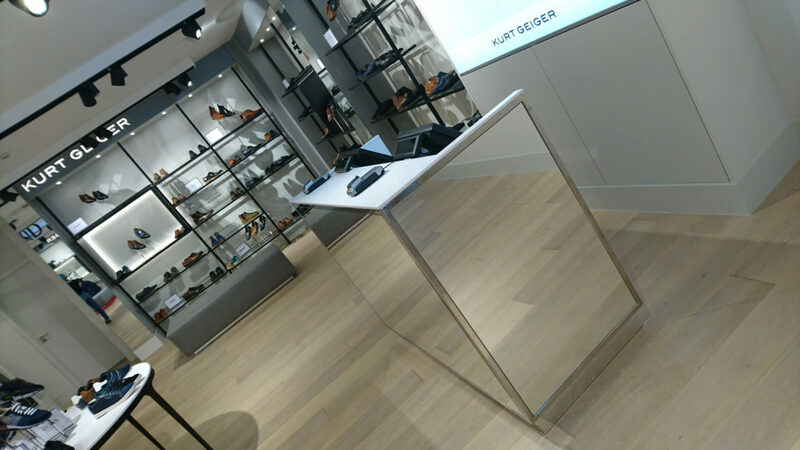 Our professional installation team worked alongside other contractors to deliver a beautiful retail environment that has been well received by the store staff and happy customers alike. The project incorporated multiple materials including Wood, Metal, Glass and Solid Surface. Supplying Light boxes, Neon Signage, Cash Desks, Seating, Metal Uprights and Shelving, Illuminated Header boxes, Display Tables, Benches and Feature Rugs.